If there is one thing cat owners know very well, it’s that having their feline friends around enriches their lives in numerous ways. From having a furry companion offering unconditional love and support or bringing a smile to one’s face when they chase a new toy around a room, there is little doubt cats are unique creatures. However, along with offering their love and lightening our moods, they do plenty of other fascinating things for humans that science is just beginning to discover. 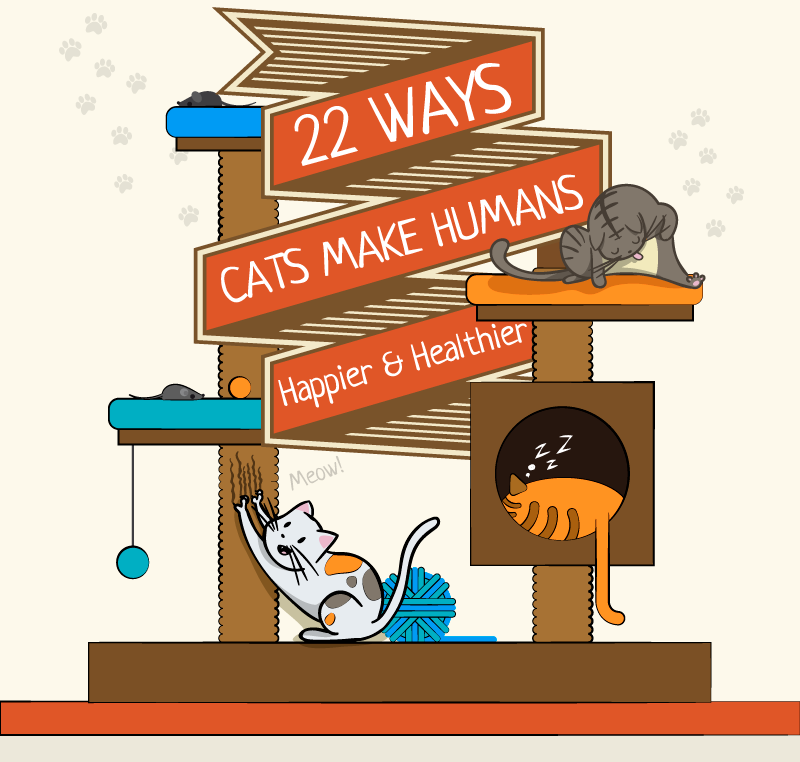 If we’ve managed to peak the curiosity of you and your kitty, here are a variety of ways cats make humans happier and healthier. If you have trouble sleeping, having a kitty in your bed may solve the problem. According to a Mayo Clinic study, cat owners who let their kitties curl up with them at night are twice as likely to get a good night’s sleep than being interrupted by their pets. In today’s world of 24/7 news cycles, cell phones making you available outside of work hours, and keeping up with the new tech advances, it’s easier than ever to feel stressed out. 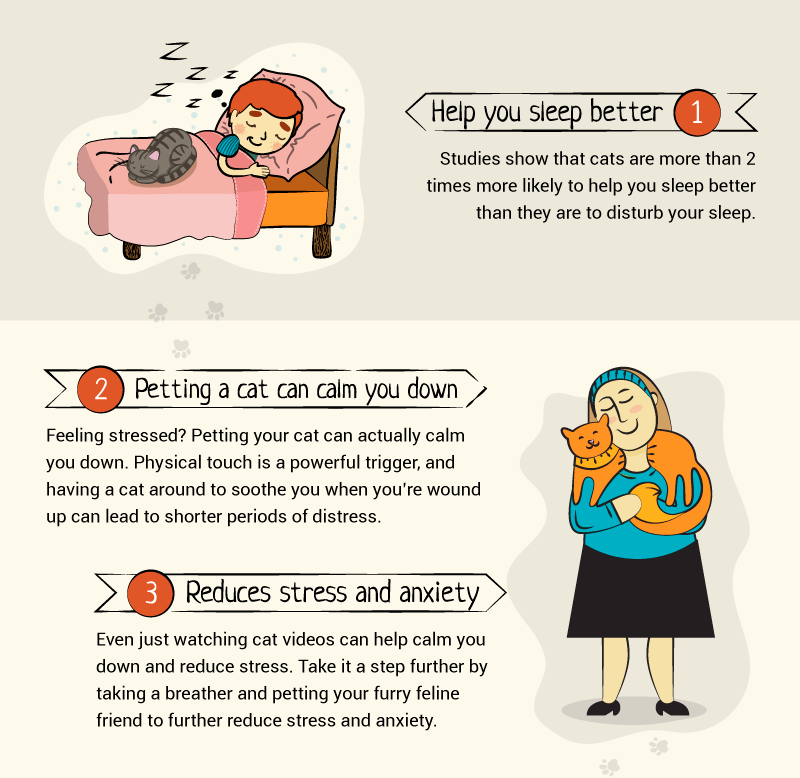 If you feel the need to calm down, one of the easiest things to do is simply pet your kitty. Always at the ready to assist us, our kitties are experts at knowing how to relax. In fact, studies have shown that along with helping to reduce our blood pressure and heart rate, petting a kitty can also help humans produce hormones that help to calm us down. If anxiety is a problem in your life, a kitty can come to the rescue. Not only will petting a kitty calm you down, but even the simple act of watching cat videos has been shown to scientifically reduce anxiety and make you happier. Seriously! If you have certain risk factors that make you susceptible to high blood pressure, heart attacks, or strokes, cats can play a big part in keeping you healthy. According to perhaps the most exciting and dramatic study we found, cat owners were found to be 40% less likely to suffer cardiovascular issues that non-cat owners. 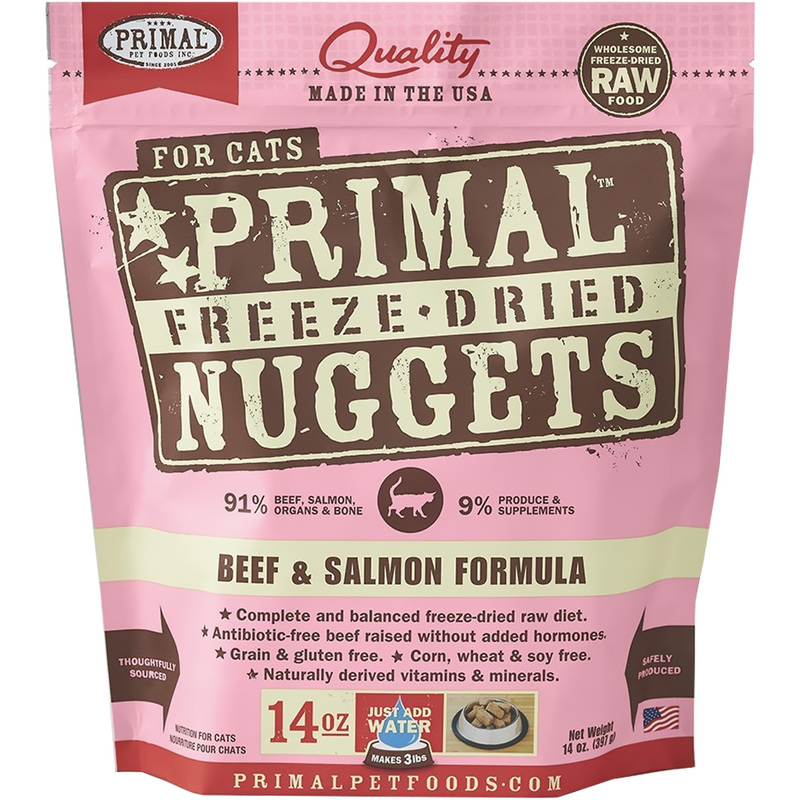 Along with this, it was found that when people suffering from high blood pressure or cholesterol obtained a kitty, their blood pressure and cholesterol levels lowered significantly, sometimes to levels even lower than those achieved with medication. 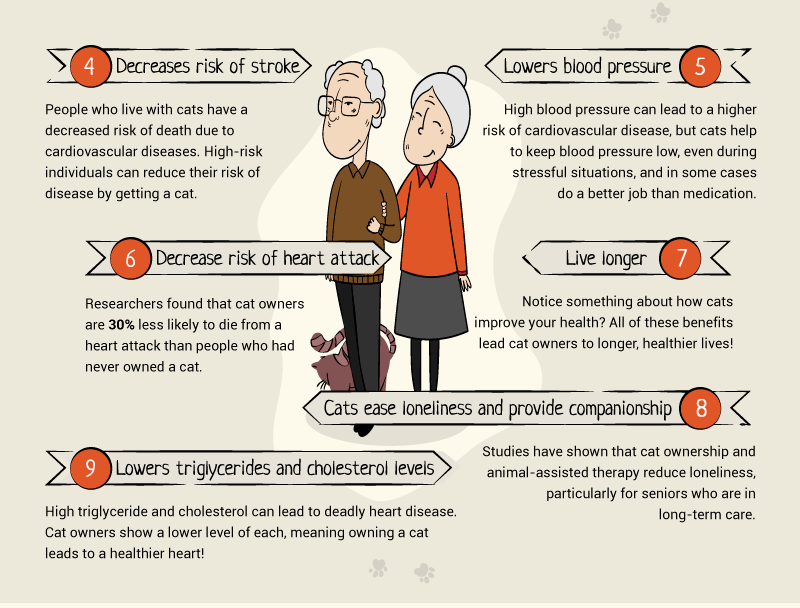 With the cardiovascular benefits alone, you’re more likely to live a longer life with a cat by your side. If you want to live a long and happy life, make a kitty part of your home. Just as we humans go through many life stages, so do kitties. Whether you have a young kitten or a cat who is a senior citizen, they can bring a level of companionship that can serve us well throughout our lives. For example, based on recent studies on seniors in long-term care facilities, cats significantly reduce loneliness. While your kitty is busy helping you relax and be healthier, you probably didn’t know that by owning a cat, you are also helping the environment compared to having a dog. 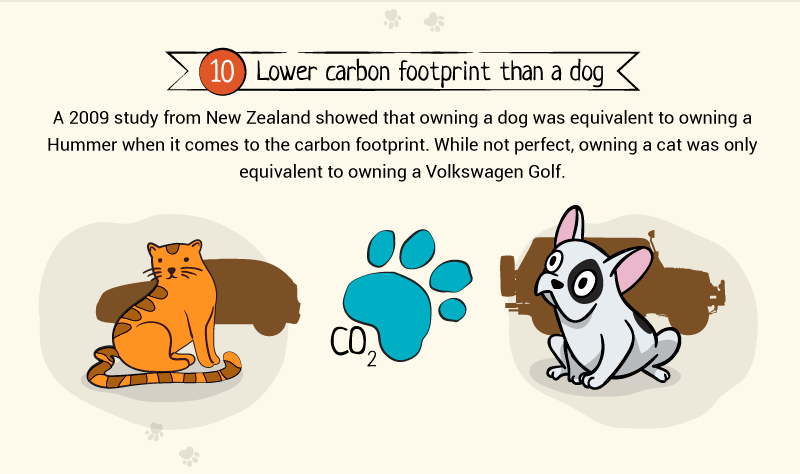 Based on a 2009 New Zealand study, owning a dog is the equivalent of creating the carbon footprint of a Hummer SUV. However, owning a kitty is only the equivalent of owning a compact car, such as a Volkswagon Golf. If cats can do one thing well, it’s play. Whether chasing balls, going to town on a scratching post, or just running around a room for the sake of it, playing is one of a cat’s greatest skills. Also, once a play session starts, you won’t be able to resist joining in the fun. Before you know it, you’ll have spent 15-30 minutes running around the room with kitty, giving you some much-needed exercise. If you want to see your mood improved in a hurry, make a kitty part of your life. In a study conducted by Swiss researchers, cats were found to improve our moods just as much if not more so than a spouse or best friend. So whether you are just down in the dumps after a hard day at work, or perhaps battle depression, owning a cute kitty who adores you will play a big part in ensuring you keep a smile on your face each and every day. Since today’s world moves at such a hectic pace in both our personal and professional lives, we humans often forget to slow down now and then. However, our kitties are quite the opposite. Sleeping an average of 12-20 hours each day, our feline family members know how to slow down and smell the catnip now and then. Thus, rather than run around at a frantic pace each day, take a few minutes to grab a catnap. If you do, you’ll feel just as refreshed and frisky as your kitty. Whether you are looking to simply make some new friends or want to spice up your romantic life, owning a cat can help you do both, especially if you happen to be a guy. According to a British study by J. McNicholas in 2006, women in the United Kingdom found men who liked animals, especially cats, to be more attractive and caring than non-cat guys. Plus, men and women simply wanting to make new friends have found that cat ownership accomplishes this as well. From striking up a conversation in the cat food aisle of a store to talking with other cat owners at the vet’s office, kitty ownership can be the beginning of many beautiful friendships. 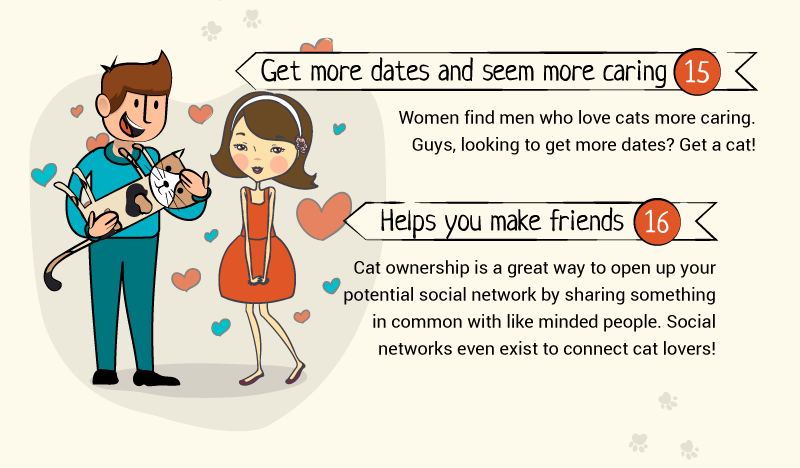 So don’t forget about cat-specific social networks! If you have children in your household, you know all too well the problems that come with allergies and asthma. For many children, these conditions can greatly inhibit their ability to have a happy childhood. But thanks to having a kitty in the house, there’s a good chance your kids will get plenty of help with these problems. According to researchers, kids who grow up with cats from an early age are far less likely to have allergies or asthma. 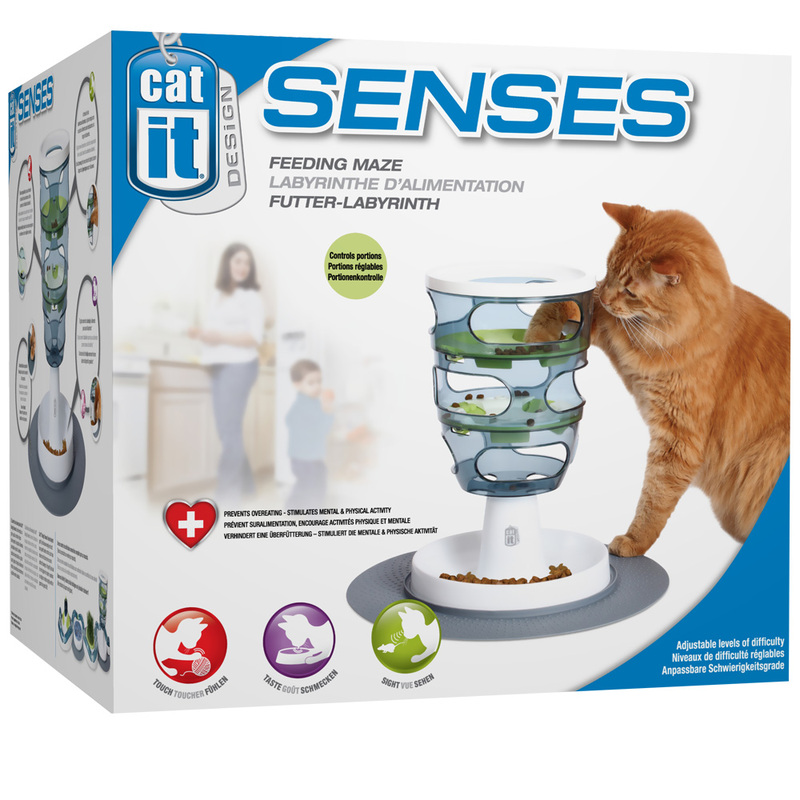 As for why, it is thought that by being exposed to cat hair and dander early on, kid’s immune systems build up a stronger tolerance much faster. For children who have autism, communicating with those around them is one of the greatest challenges they face each day. However, according to researchers, having a cat nearby can change all that. 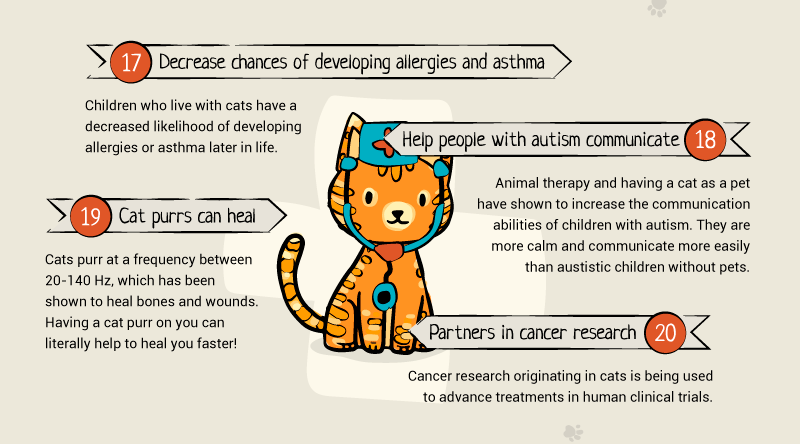 According to studies on this subject, having cats around autistic children results in the kids being calmer and able to communicate better with others around them. 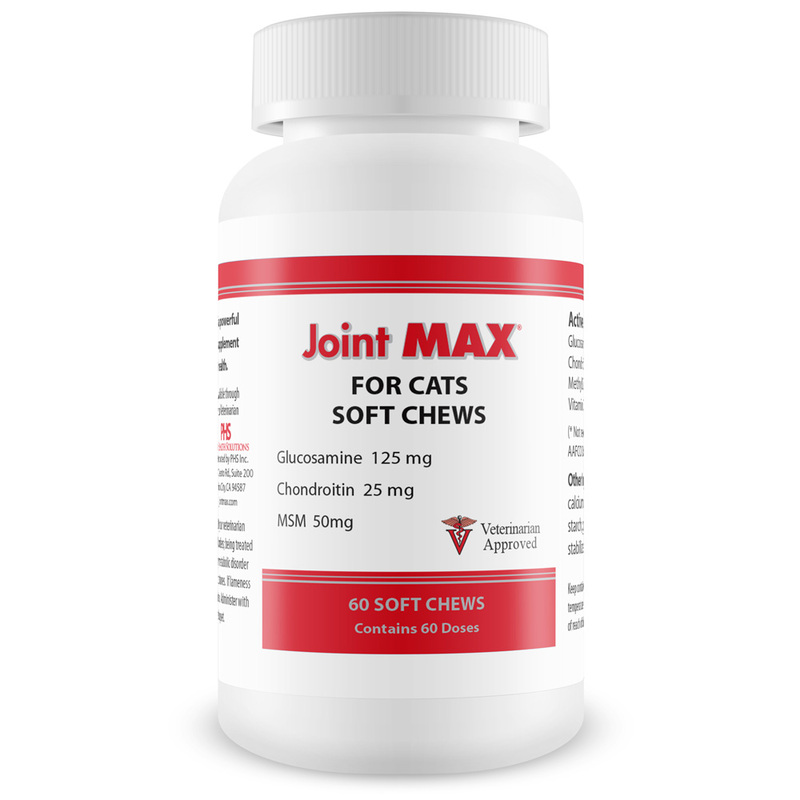 Believe it or not, cats actually have the power to heal wounds and even broken bones. According to some studies, when cats purr within their normal frequency range of 20-140 Hz, their purring has the power to heal injured bones, tendons, and tissue. While the verdict is still out on whether or not a cat purr can heal human injuries, their purring may be helping to heal various wounds. Whatever the case, there’s not much better than having a purring cat asleep on your lap! Along with their incredible healing powers, cats are playing a much greater role in helping cancer researchers solve the many mysteries associated with this deadly disease. As researchers have done more studies involving cancer in cats, they have used the knowledge gained to help humans as well. For example, feline breakthroughs have been made that are promising enough to be used as the basis for human cancer treatments. If you live with a cat long enough, you’ll soon discover many insights regarding your own personality. 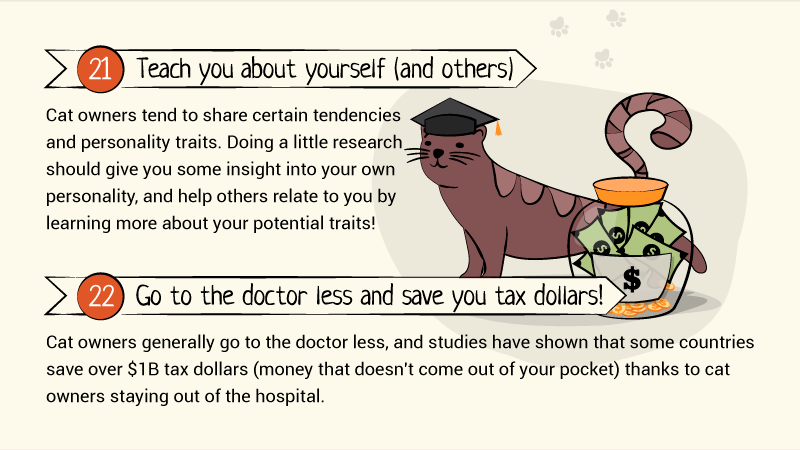 Since cat owners tend to share certain personality characteristics and traits, taking some time to look deep within yourself will pay big dividends. 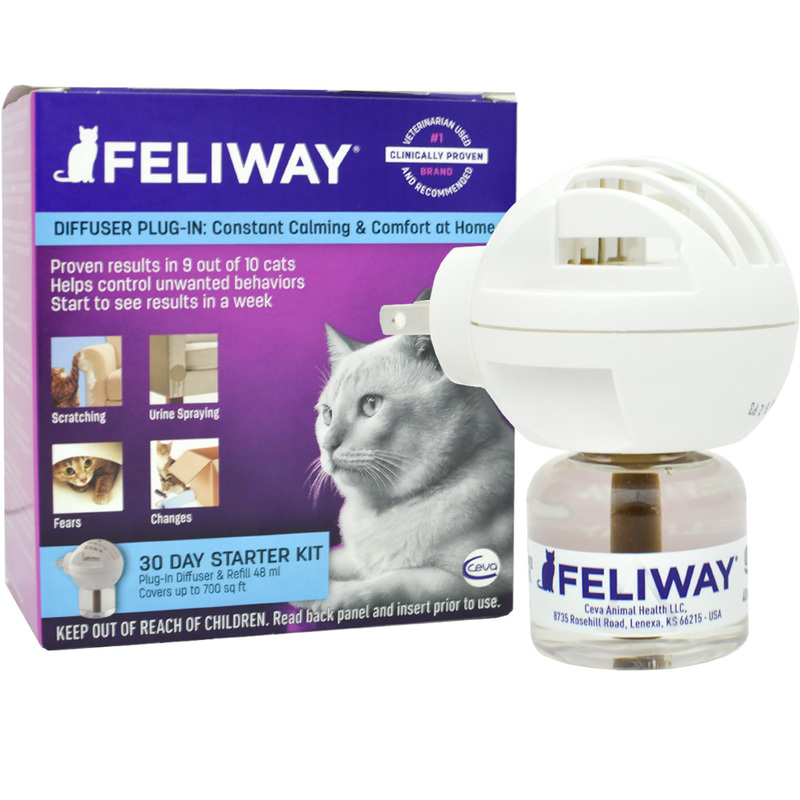 Who knows, with a little luck, you may find yourself someday having the same mellow, carefree personality of your favorite feline companion. It may surprise you to know that by owning a cat, you can actually keep more cash in your pocket. By owning a cat, you will feel better physically, emotionally, and spiritually. As a result, you’ll be making far fewer trips to the doctor, saving you money on office visits and medications. Not only will you see your personal health care costs stay low, but you’ll likely end up paying less in taxes, too. Some studies have shown that cat ownership helps nations around the world save an estimated $1 billion annually by not reducing doctor and hospital visits. 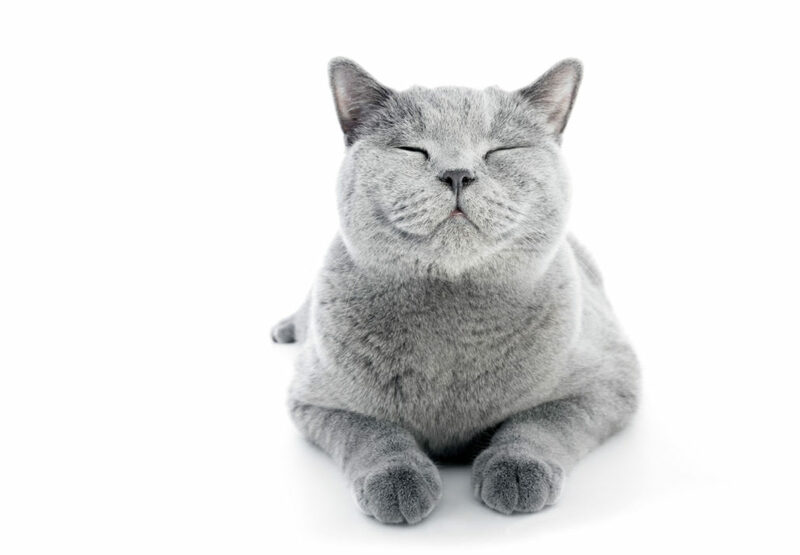 By now, you’re likely convinced of the many benefits of cat ownership. Therefore, while you’re preparing for your new arrival, take some time to reflect on just how special kitties are as members of our family. 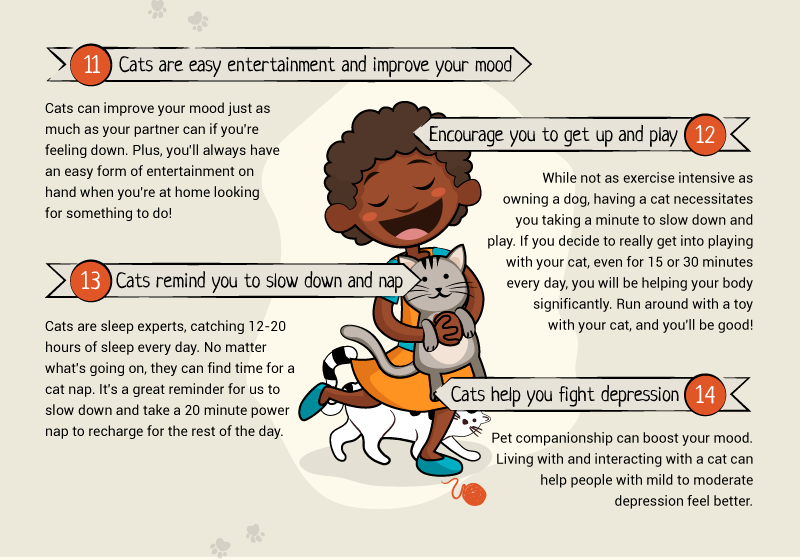 Whether they are helping us beat depression, stay calm in the face of chaos, providing us with much-needed companionship, or simply making us smile as they play, there’s no doubt our furry feline friends are indeed very special.